Have you already lived in your new home for six months to a year? This will be a good time to plan any home improvement projects or remodeling that you want to do. Unless the property you bought is a fixer-upper, experts suggest that you live in your new home for a short period rather than renovate it to make it move-in ready. Doing so will help you determine exactly what will work for you, what won’t work for you, and how you use the house. If you took out a loan to acquire the property, putting off renovation will also spare you from another tedious process of taking out a home renovation loan. Because even with the assistance of mortgage companies in Colorado, dealing with one set of paperwork right after another can be stressful. How you get approved for home improvement loans is also an entirely different beast from getting approved for a regular home loan. Sure, you’d still deal with Colorado mortgage brokers, but the qualifications and requirements slightly differ. This is when you borrow money to upgrade your current home. The loan is for a specific amount determined by a defined project and set for a defined period of time. The payment terms are usually shorter than a mortgage. The best mortgage lenders Colorado has will look into your personal financial standing and the equity in your home to determine your borrowing terms and whether you are qualified for secured home improvement loans. Most lenders of home improvement loans would expect you to request a specific amount of money to pay for a specific remodeling project. The more precise your estimate is, the better. So, make sure you have a particular project in mind when going into a lending office. Make it an upgrade that adds value to a home, such as a kitchen and bathroom remodeling, which will increase your property’s financial worth. This will prove advantageous when you decide to sell in the future. This is one of the reasons why you should wait for six months to a year or more to apply for a home improvement loan. With equity as a collateral, getting pre-approved is relatively easy. The loan value would also be reduced for a limited amount in your loan’s early years. Even with rising home values in your community, you can still generate substantial equity after a few years. Considering that you’re adding a second loan to your existing mortgage, mortgage companies in Colorado will check if you’re financially suitable. Can you afford to make a second payment on top of your mortgage payment? This is when your household income will be scrutinized to determine if it is enough to cover your repayment needs. It would also help if you have a clean credit history and a strong credit score. Most lenders of home improvement loans do not check credit history because of the equity provided by your home, but it does help in the application process. 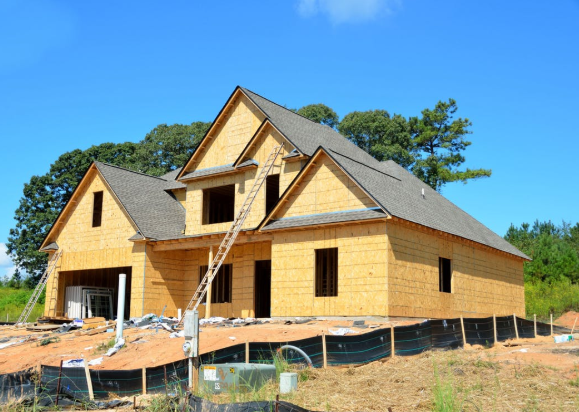 Known as one of the best mortgage lenders Colorado Springs has, we provide consultations for renovation home loans and a quick online application process. Simply schedule a call or apply online to check if you have the qualifications to get approved for a home improvement loan. With One Mortgage, upgrading your home is just a call or a click away.